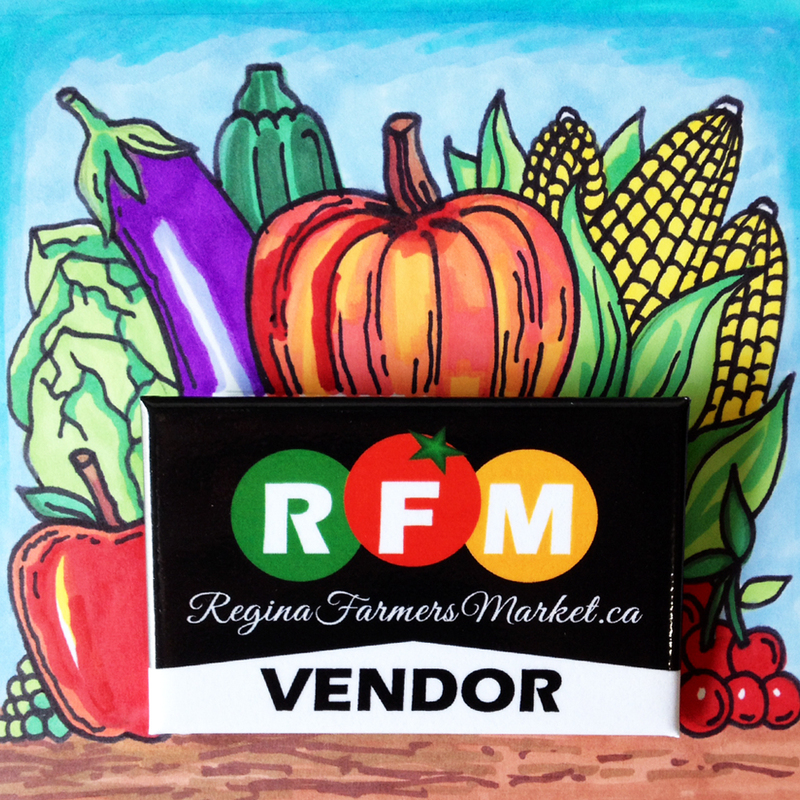 Since 1975, the Regina Farmer’s Market has been the gathering place for a special rural and urban exchange. Vendors locally make, bake or grow their products, serving a unique selection of organic and ethnic foods, beautiful flowers and plants, tempting sweets, unique arts, in a community setting. If you find yourself in Regina Saskatchewan, the Regina Farmer’s Market has opened their 2014 Spring Indoor Markets at two locations this year! The RFM has partnered with the University of Regina Sustainability Committee for Thursday Markets at the Research & Innovation Center Atrium. Saturdays at the Cathedral Neighbourhood Center, 2900 13th Avenue, will continue as well. Now you’ll have two chances a week to visit your favourite vendors! Does your town, city or community hold an annual farmers market? Consider outfitting your vendors & artisans with customized pin back buttons as a way to call attention to the sellers.